Minimum loan amount of $100,000 and other terms apply. Buying a car in Singapore is expensive which is why car buyers opt to apply for the cheapest car loan rate to keep the costs down. 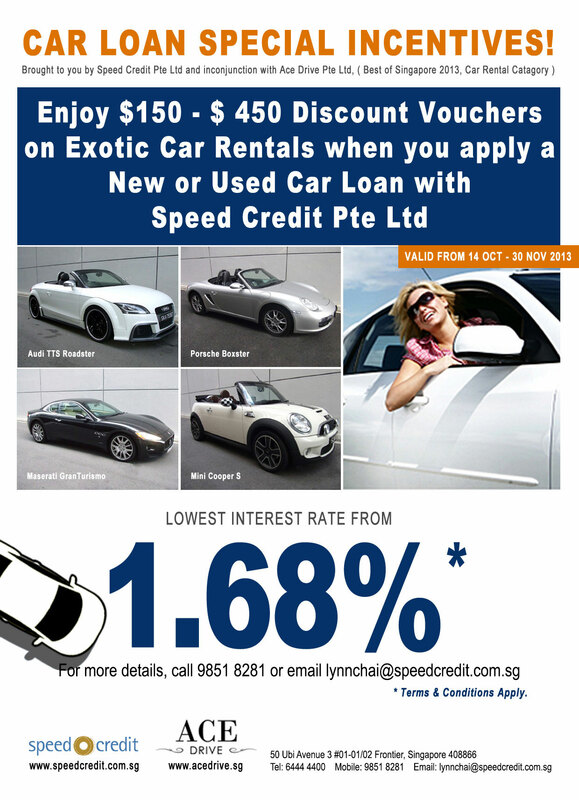 At Speed Credit, we strive hard to get you the best car loan deals through our 14 reputable bank partners in Singapore. By maintaining a good personal and financial relationship with our bank partners, we are able to make special car loan or car finance arrangements for our customers. This makes us one of the best auto loan provider in Singapore with competitive car loan interest rates including used car loan rates. Our in-house 1.68% car loan promotion has remained strong and is still considered to be the cheapest car loan rate in Singapore. For over a year now, our cheapest 1.68% car loan interest rate promotion has helped over 680 car buyers in getting huge savings by paying a very low monthly car installment. To apply for the cheapest car loan promotional rate, kindly fill up our car loan form here. Once submitted, one of our car finance specialists will contact you regarding your application. Thank you. Verification on the true information and car ownership of the seller. FREE administrative support for LTA transactions such as transfer of car ownership. Complete all legal documentations for your car loan. Full settlement with the seller’s existing bank or financial institute. Act as a neutral party for all your car sale agreements and monetary transaction. Help you get up to 5 of the cheapest comprehensive car insurance quote for your vehicle.